When I was growing up in the ’80s and early ’90s, my mom was busy homeschooling me as well as heading up our church’s Sunday school department. 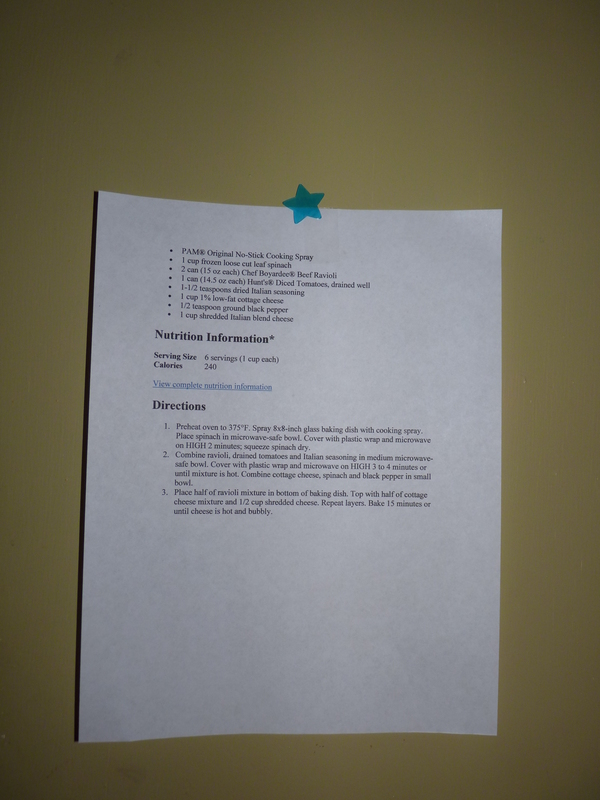 Whenever she wanted to put up non-permanent billboard cut outs or display educational charts/maps in our dining room (aka the classroom) she used this blue tacky adhesive stuff. It had the texture of Silly Putty and she used it because it was the only temporary adhesive available at the time. We both hated it because at best it often didn’t function properly, created an oily stain on the wall and if left for too long (let’s say it took me a year to memorize that chart of all the presidents!) would dry out and have to be removed with a butter knife. 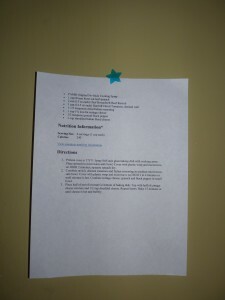 It was better than putting holes in the wall with thumbtacks or staples, but not much. Moms and Sunday school teachers rejoice, because Scotch has created temporary restickable products that actually work! 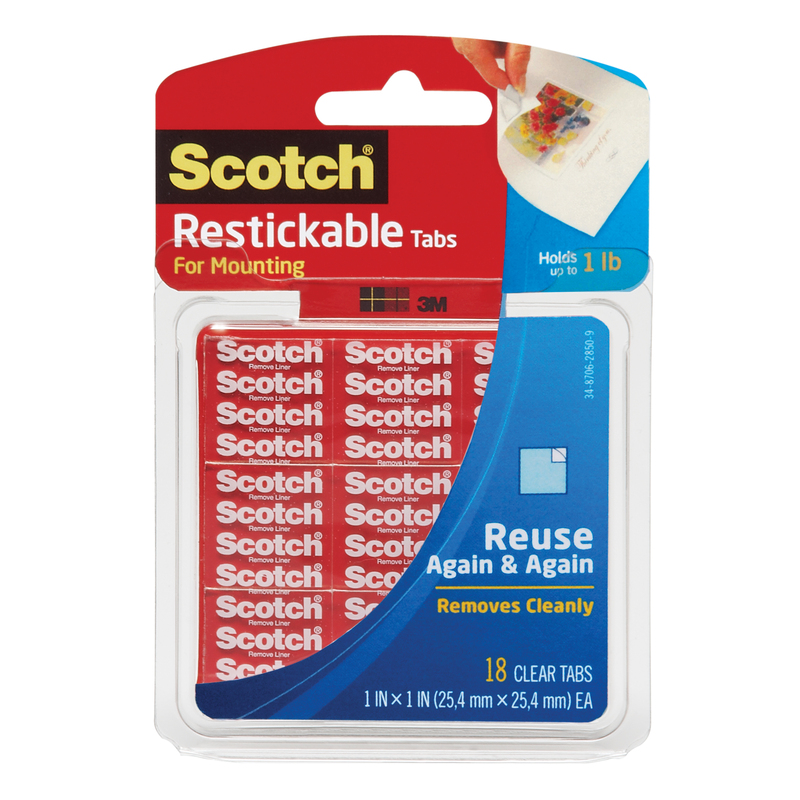 Choose from restickable tabs, strips, or shapes and never face the adhesive putty again. 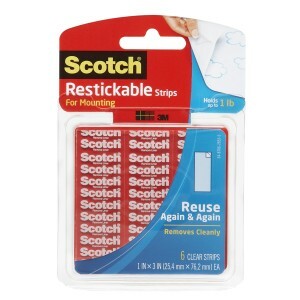 The same principle applies to the restickable strips, but with a little more power. Each strip will hold up to .75 pounds. These are exactly what Mom needed for those laminated educational posters. Oh and did I mention they are cute? They come in three colors: pink, blue, and orange. 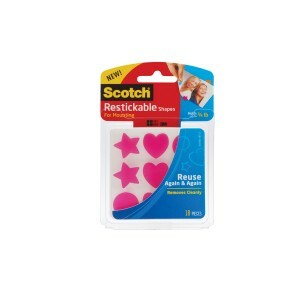 I’ll use the heart restickable shape to stick a love note on the bathroom mirror for Hubs, or maybe stick a note on his truck window. Awwww. Scotch restickable products are definitely Sweet T approved. I can’t wait to display some of her first artwork in a smart, effective, and waste-free manner! 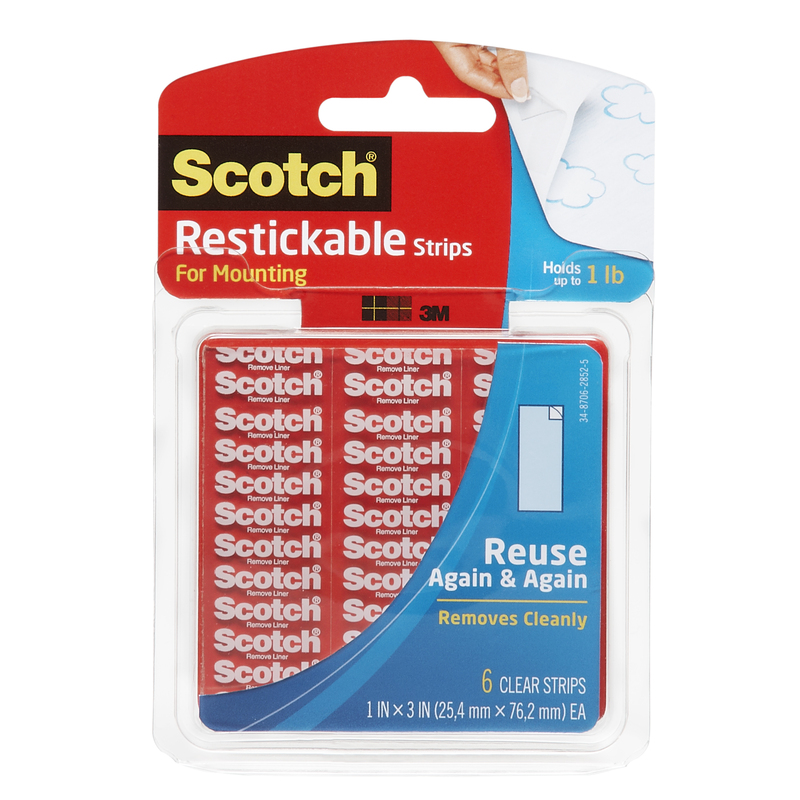 I wrote this review while participating in a blog tour by Mom Central Consulting on behalf of Scotch and received Scotch Restickable products to facilitate my review and a promotional item to thank me for taking the time to participate.